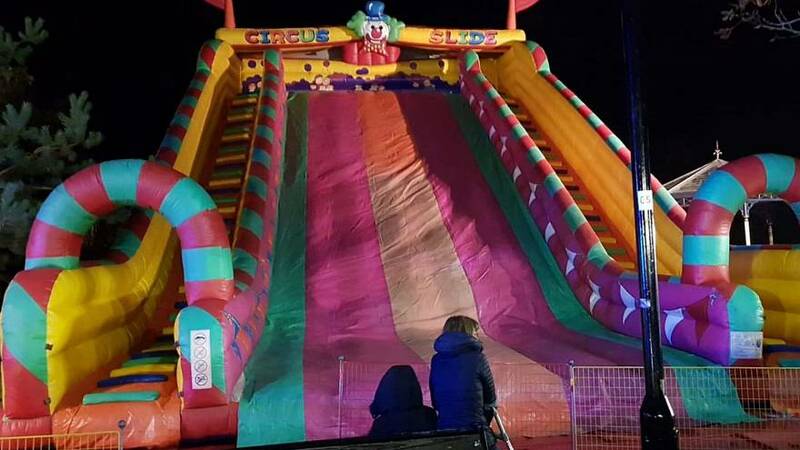 Eight children were injured in an accident on a giant fairground inflatable slide in southern England on Saturday, which led to the evacuation of a local fireworks event. Seven of the children injured in the incident in Surrey's Woking Park were discharged from hospital overnight, Surrey Police confirmed on Sunday. The eighth child was being kept in for observations, but the injuries were "not believed to be significant", the police added. The eight children were injured after falling from the inflatable slide, with some eyewitness reports claiming that the ride was overcrowded. Organisers of the Woking Fireworks event saidthey were “very shocked and distressed by events" at the fair. “We are focusing in assisting the emergency services in dealing with the injured children,” they added on Saturday evening. Firework displays are being held across the UK this weekend ahead of Bonfire Night on Monday. The annual event marks the Gunpowder Plot of November 5, 1605 — a thwarted act of terror in which Catholic conspirators planned to blow up the House of Lords.